If you look closely, you'll notice the horizontal banding layers of the waveguide. I believe the little things at the ends of the wires you see are IR emitting LEDs used for the eye tracking sensor. They're not visible when you're actually wearing the headset. Neither is the banding. The IR LEDs are recessed in little cut-outs in the protective layer that covers the wave guides. 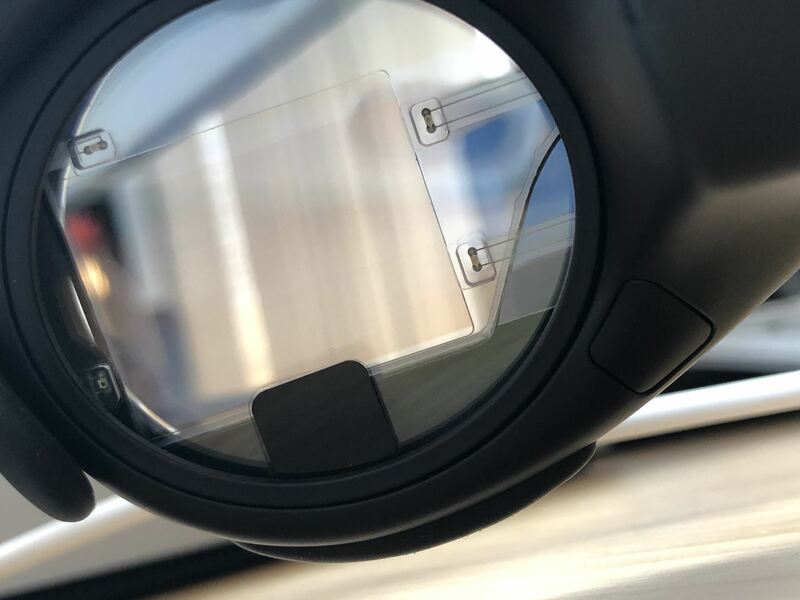 The magnetic clip-in frame can be swapped for ones with prescription lenses to be released in the future. The lenses are not very dark. They look like a light pair of sunglasses. 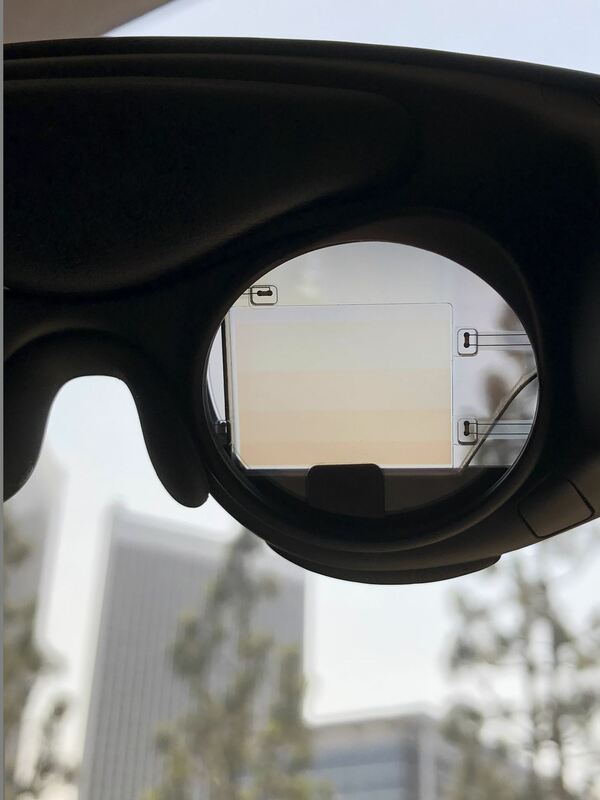 However, they are fairly reflective on the outside, so, if anything, ambient reflections obscure the view of the waveguides more than their shading. You can't see anything other than a tiny slit where the waveguides curve into the sides where the light engine projectors are. 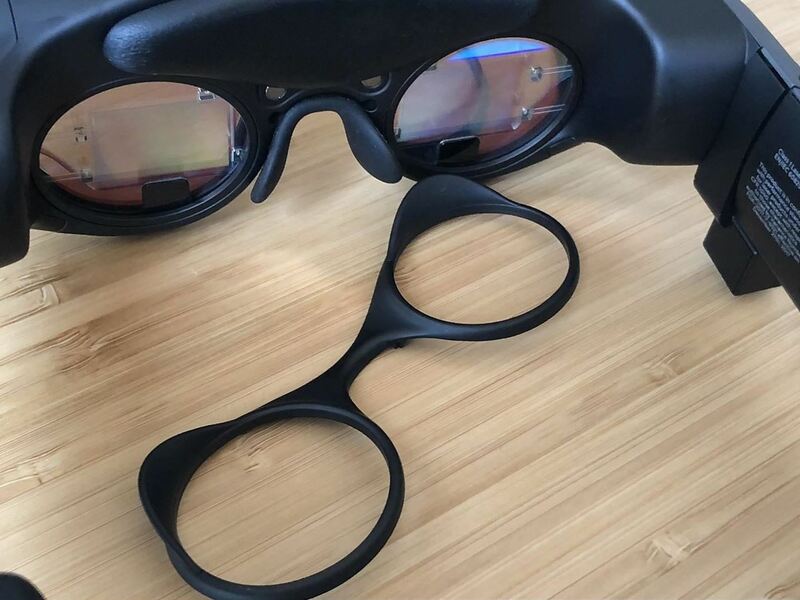 Those are just a few close-up looks for those of you who haven't taken the dive yet into what Magic Leap calls the "Magicverse." 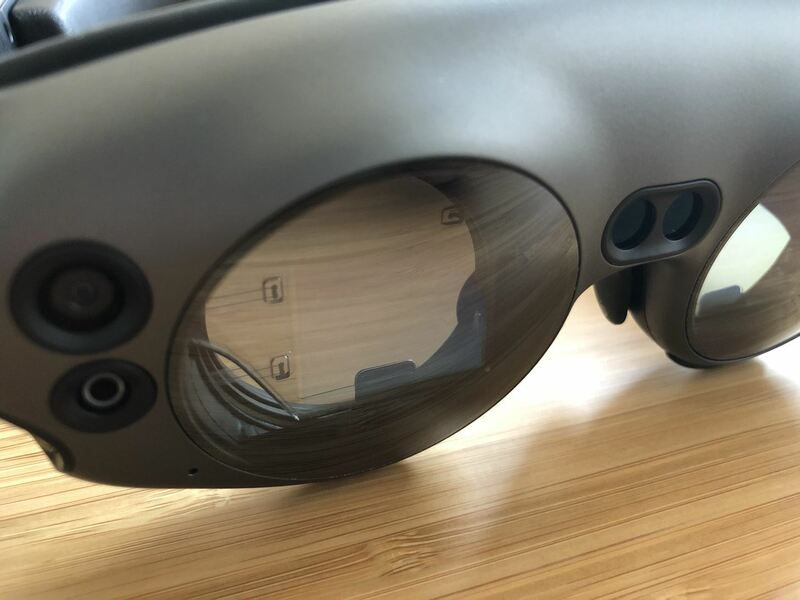 Stay locked in on Next Reality as we continue to dissect Magic Leap's long-awaited spatial computing device. Thanks for the explanation of the IR emitters. I have been curious about what they were for. I have to believe that they will be visible as blurry objects at least in a well-lit room and your iris stops down. 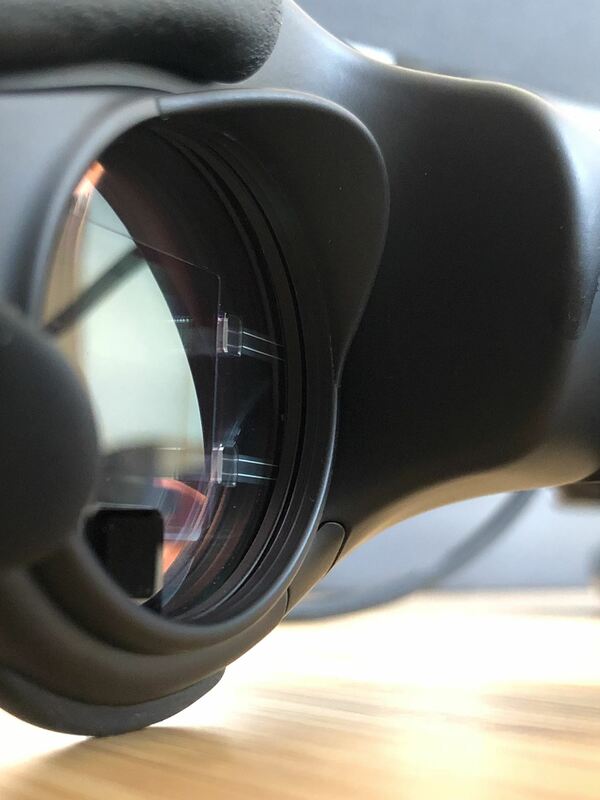 The lenses are obviously much more transparent than in the earlier Magic Leap released videos. Something to try is whether any of the optics are polarizing. 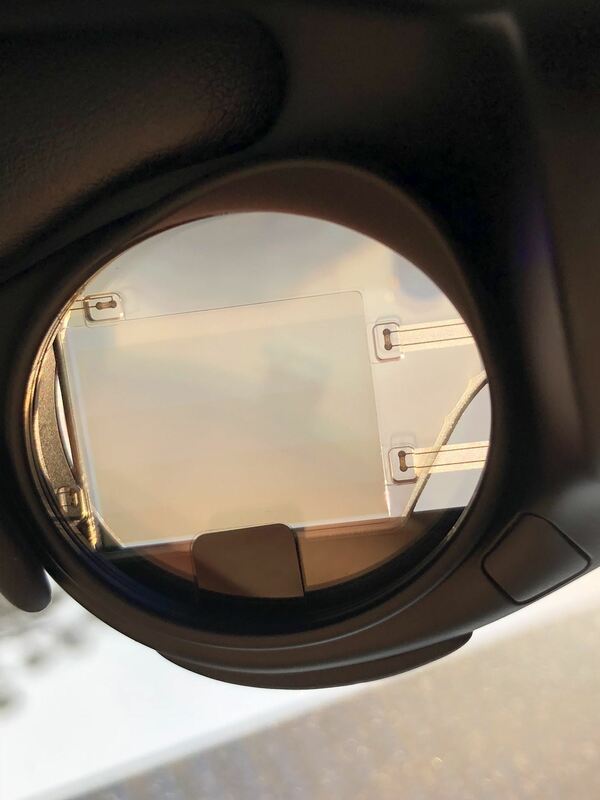 If you take a polarizing film or even a polarizing sunglass lens and rotate if any of the optics depend on polarized light, they will lighten and darken. 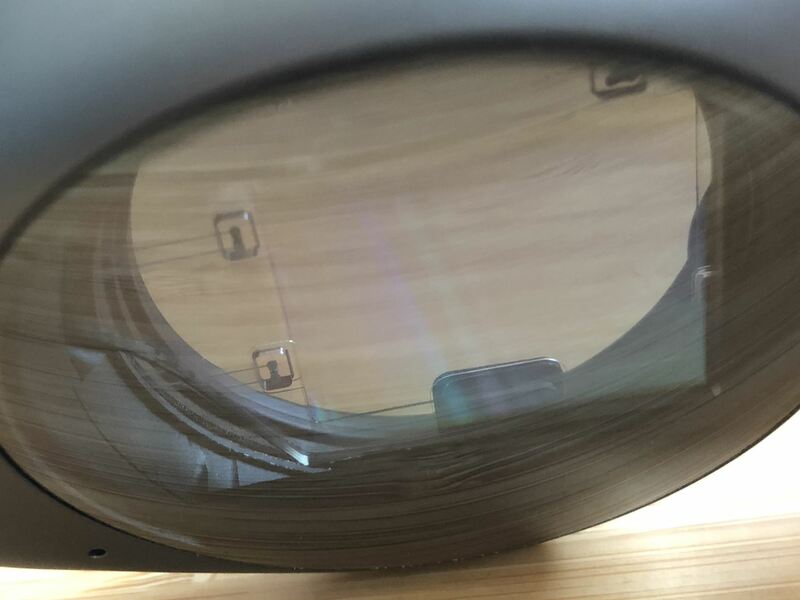 A curiosity relative to Hololens is that it looks like there is what looks like an LC glue ring seal around the outside of the waveguide. Usually, one laminates the entire layer together but maybe this is as a result of the IR emitters, but then I would expect to see any glue in the holes for the IR emitters. From the pictures, I can't tell what layers are glued together. I also find the rectangle structure in the center interesting. I don't think it is the waveguide. Can you tell if there is any connections going to it? I see the tab at the bottom of the waveguide, but I can tell if it there is say a flex cable behind it. I'm trying to figure out if it is a passive or active (electrically controlled) device. "I also find the rectangle structure in the center interesting. " If you look closely the waveguide has been cut round to accommodate it. 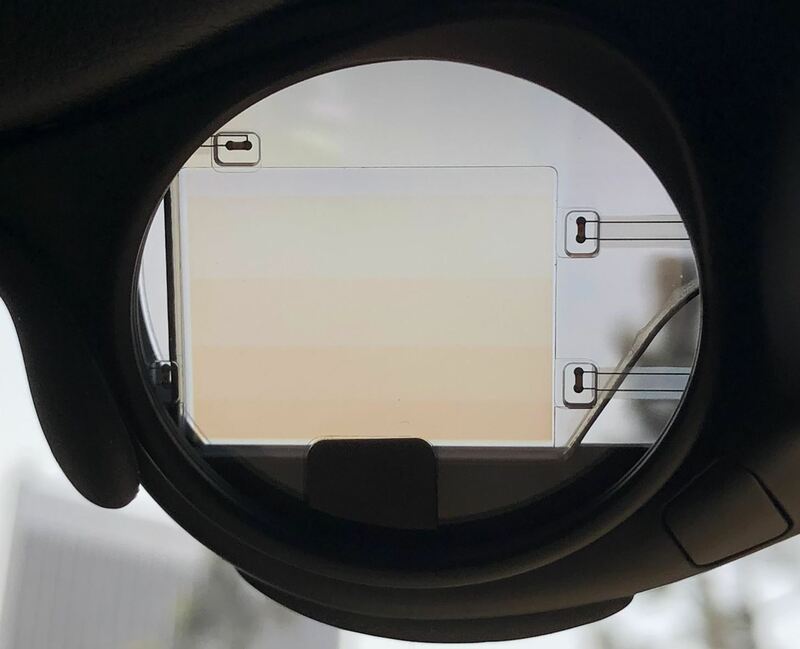 I think its a blank piece where an eye tracking camera would be located (doesn't appear to be anywhere else in there for the camera).The lack of features suggest its a blank - unless they did something clever like locate the camera behind a dark tinted window (possible for NIR windows, but lack of attention to aesthetics elsewhere suggests otherwise). 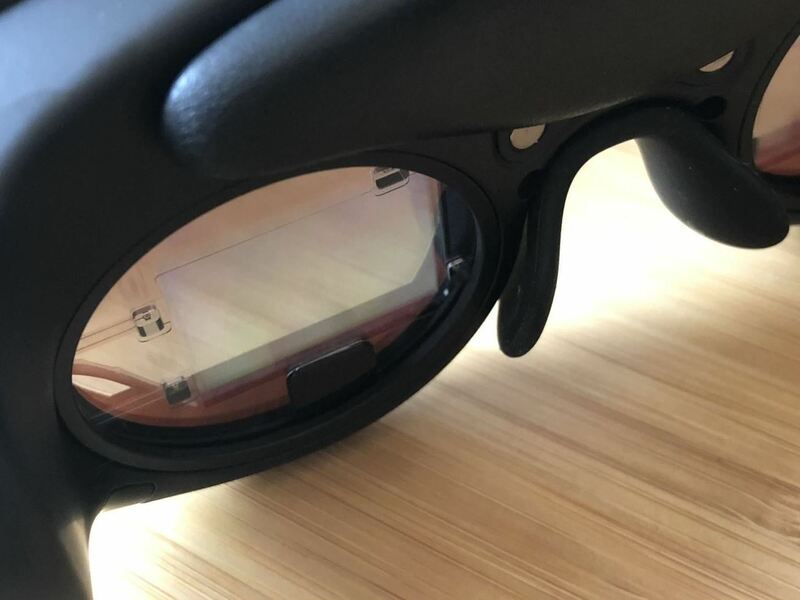 Various reports on the demo content suggest there's nothing that makes use of eye tracking yet, so it might not actually be fitted (yet). Suggest powering this up and seeing if you can pick off any NIR emission on your camera (some cameras can still see NIR emission if weakly, but better if you remove the NIR filter).